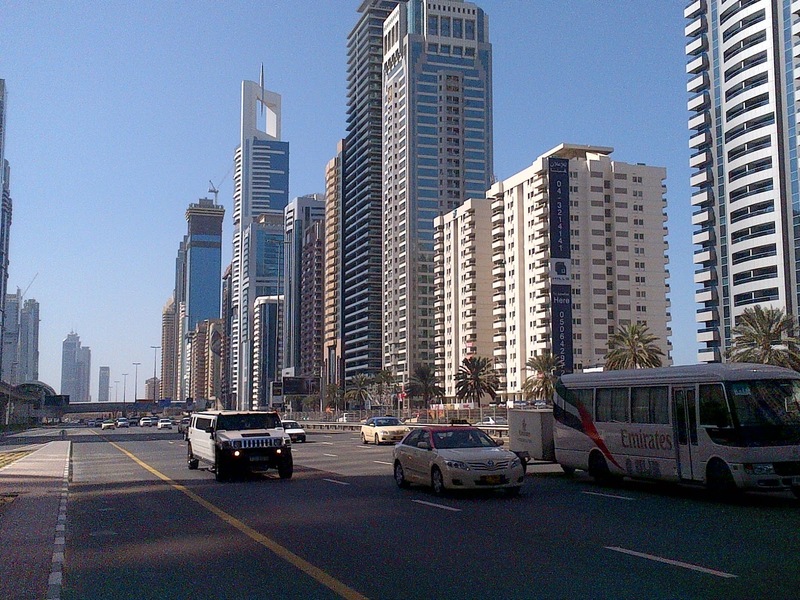 The common denominator for all Dubai residents is Sheikh Zayed Road. I can bet that quasi all of us have travelled on every single lane, again and again. Even the wise metro users deal with SZR, as their train snakes above the 16 lane highway that traverses our city. From the past, I remember a retro-Dubai without SZR, a Dubai whose distances seemed longer to handle, whose pace of life was slower, whose buzz was quieter. From the Creek, where it blossomed, Dubai has developed as a city built on a modern river: the highway. 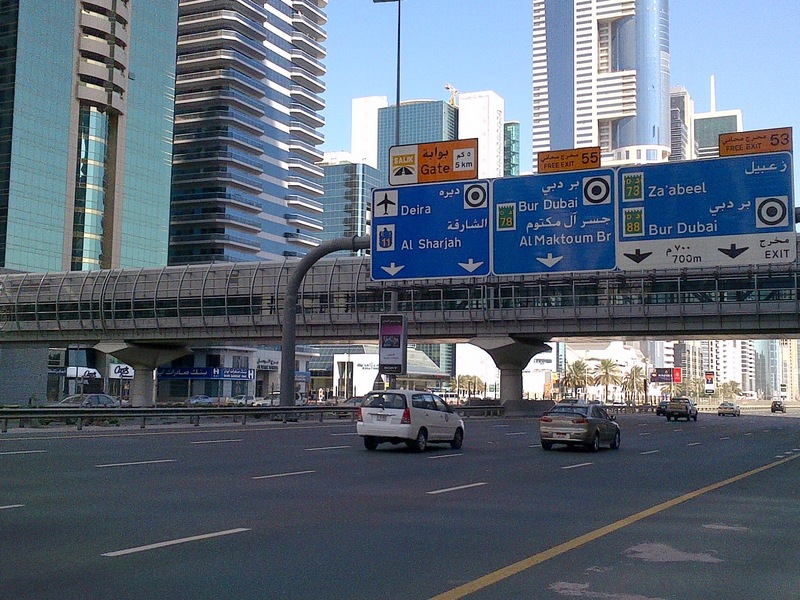 Sheikh Zayed Road is the jugular vein of Dubai. Alongside its two asphalted banks grow forests of glass high rises, each one rivalling the other in their grotesque enormity. Urbanism dwells on SZR. It links the classical Trade Center to the whimsical IbnBatuta Mall. It connects financial DIFC to creative MediaCity. It attaches popular Karama to exclusive Emirates Hills. It rushes past majestic BurjKhalifa and suburban UmSuqqeim. It skips by green Safa Park and monstrous JBR. It can take a skier at Mall of the Emirates to Emirates Golf Club to putt. SZR has eight interchanges. We have become accustomed to them now. However, we still drive, take a wrong turn on their clover shaped wings and we are flying, like the Jetsons, in the opposite direction! My favourite is the second interchange, built by Salini, without ever closing, always delivering cars like a matchbox circuit. I live on Sheikh Zayed Road. I experience it with bewilderment and fun. I car spot on the metro-bridge that overpasses it. From the bridge, atop, I watch the cars speed by, the same way the junkies waited for trains in the film Train spotting. This activity can boost the morale, when accompanied by smashing music. I love the new name SZR,it sounds good.I still remember the leading Dubaian who assuredly said:" you have seen nothing yet,it is 10% of what is coming".It came out it was 1% of what we saw at the end of 2008. SZR has become the lifeline of Dubai,like the Creek was the last century.Last week when I was taking the highway to the bustling airport at 6 am on a Friday morning,SZR was swarming with traffic as if it was rush hour.What energy,what a city. 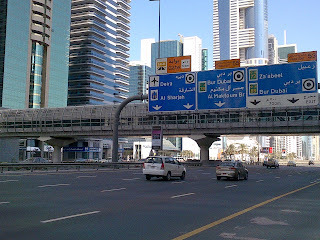 I really feel very excited even if I drive this Sheikh Zayed Road. 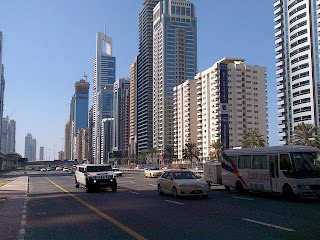 Because it is one of the busiest road in Dubai have more taller building.